Home News Nigerians makes demands from Next President. 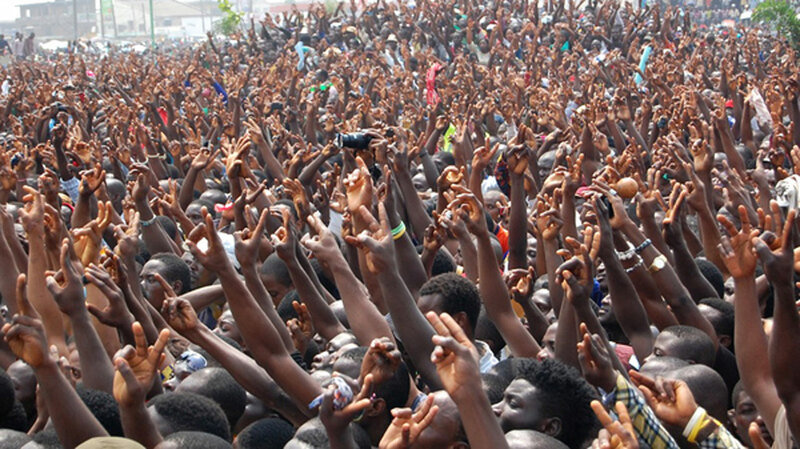 Nigerians makes demands from Next President. As 2019 Presidential election approaches, Nigerians have taken time to outline some of the basic things they expect from the next president. 1. When you assume office, don't blame anybody but do your best. 2. Never waste your time on frivolities. 3. Do not fight your enemies in the guise of fighting corruption rather strengthen institutions. 4. Your appointment should be in line with federal character principles. 5. Treat all regions the same despite all odds. 7. Reduce Nigeria debt of $23.57bn that is on ground. 8. Never waste your time fighting Buhari and his Sycophants. 9. Never make promises you cannot fulfill. 10. You can introduce 5 points agenda, don't jack all things without result. 11. Don't waste your time in forming your cabinet. 12. Appoint professional with the know how. 13. You must not buy powerbike for your son. 14. Bring sanity into the syste14. Bring sanity into the system. 15. You need no salary pls, you're rich already. 16. You must not go for checkup in US. 17. Assent to peace corps bill. 18. Make sure INEC is independent. 19. Don't use your office to threaten anybody. 20. Embrace your govs irrespective of party affiliations and remove sentiment, tribe or ethnic issues. 21. Listen to the cry of average Nigerians. 22. Don't allow people to control you in the name of cabals. 25. Improve our electricity supply. 25. Improve our locally made products. 26. Rule with fear of God. 27. Give attention to needed basic amenities. 30. Revive textile industries across the nation. 31. Give priority to minimum wage. 32. In everything note, Nigeria first. 35. Don't consider all news as fake. 36. Allow freedom of press. 37. Hate speech should not be your problem. 38. Any policy under Buhari that deems you fit, continue with it. 39. Do not give total monopoly to one company in any business. 40. Pay our teachers and respect Nigerian students.